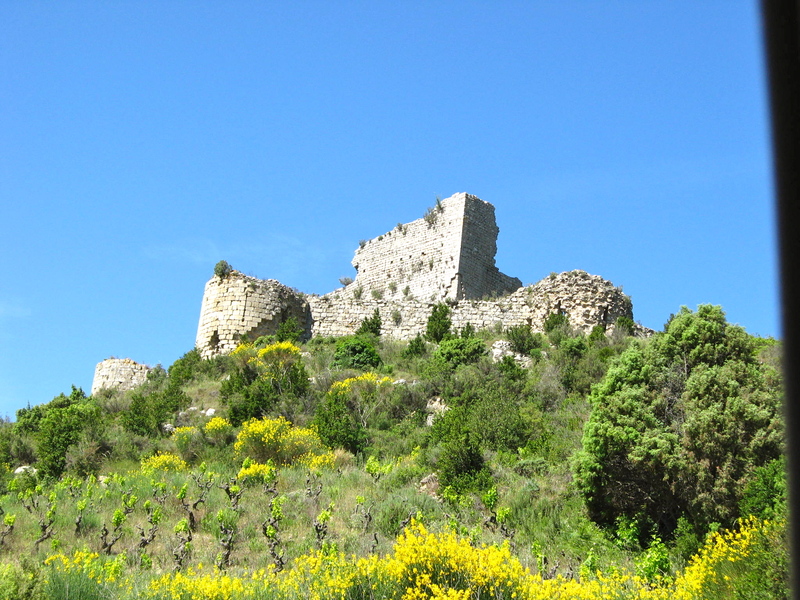 Le Château d’ Aguilar rises in the Cathar country, ensconced in a landscape of aromatic garrigue vegetation. 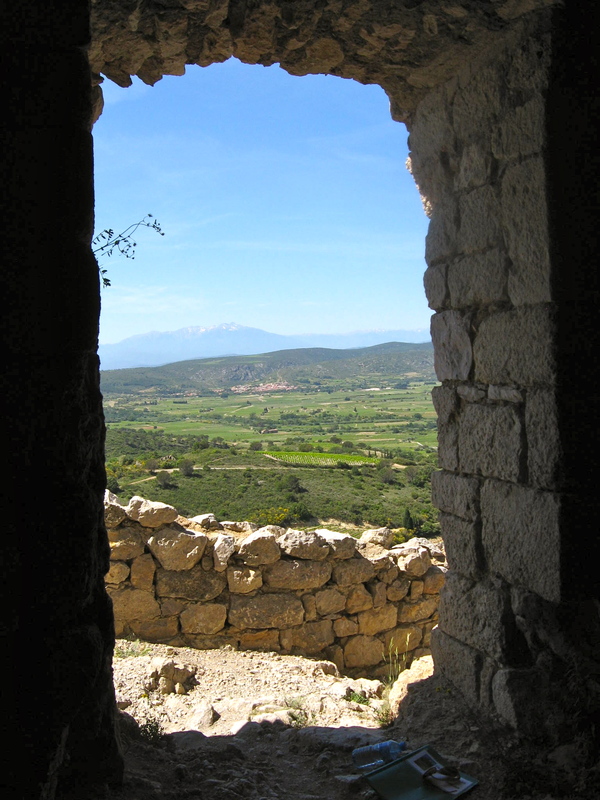 A stark contrast to the order of the Haut Fitou vineyards. Set on the rock like a crown, the castle looks over the village of Tuchan. The first mention of Puy Aguilar appeared in the testament of the Count of Besalù in 1020. 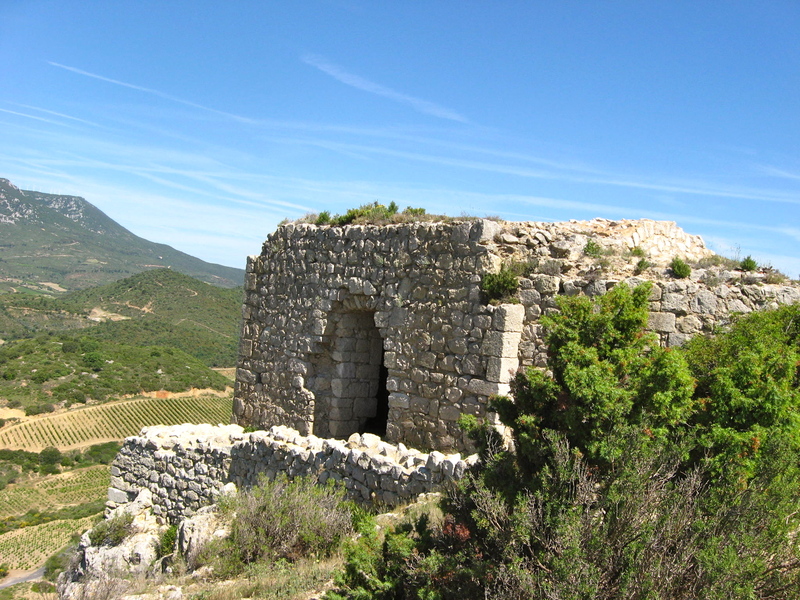 Possession of The Château fell under the auspices of vassals of the Trencavel family. 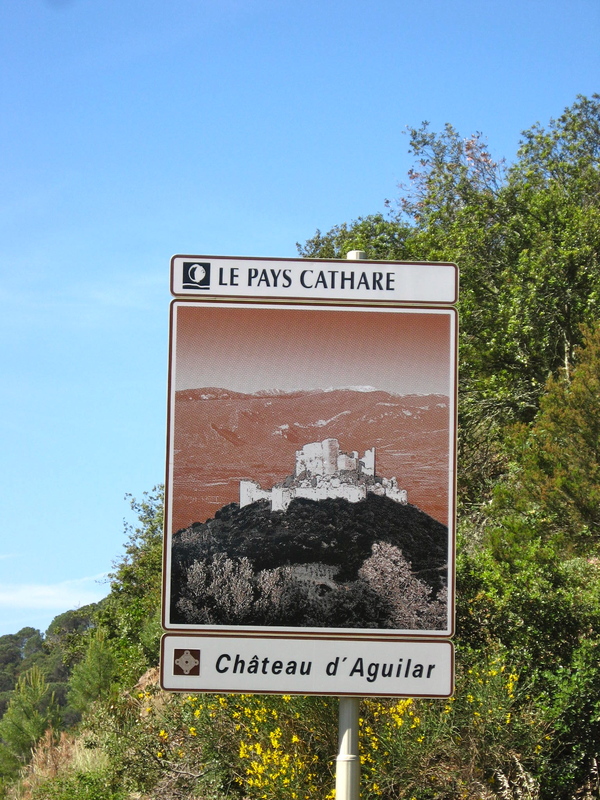 The crusade to eradicate the Cathars began in 1209 lasting until 1255. At the conclusion of this inquisition, the castle was property of the King of France. 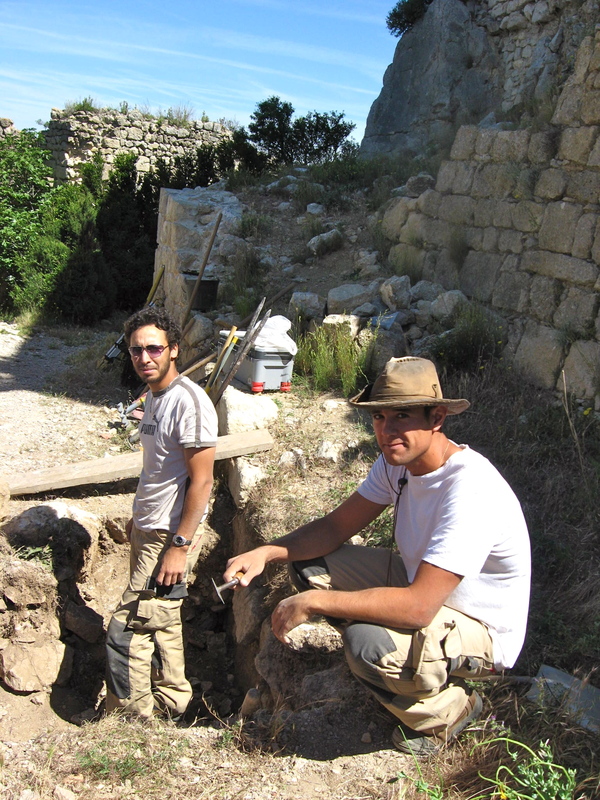 Ownership was bestowed to Olivier de Termes as a reward for services rendered in the Holy Land. 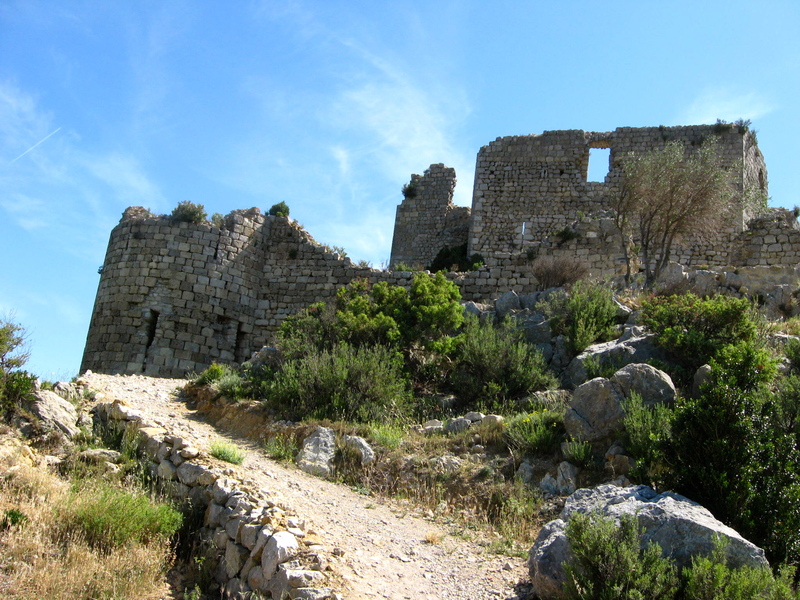 In 1258, the castle was brought into service in defending the French-Aragon border. 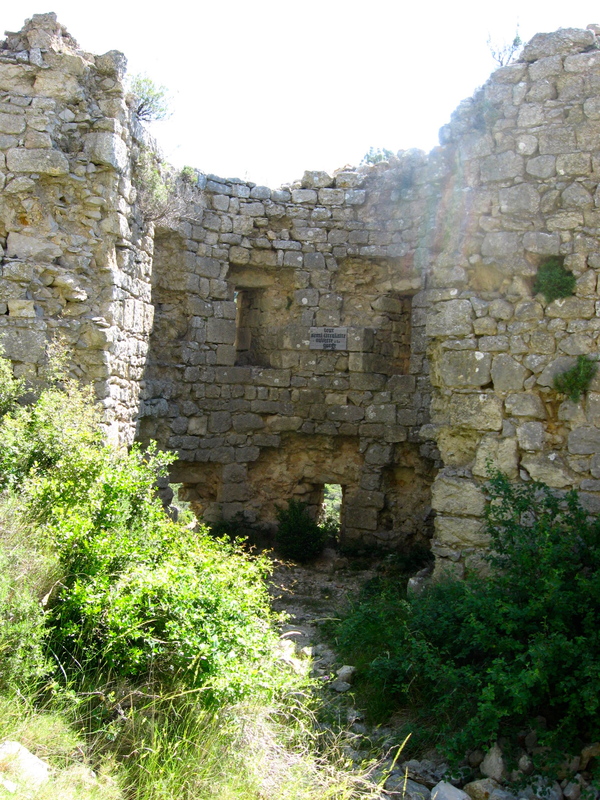 In 1260 the castle was integrated info the royal domain by The King of France, Louis IX and became a royal fortress. The castle is composted of two hexagonal walls. 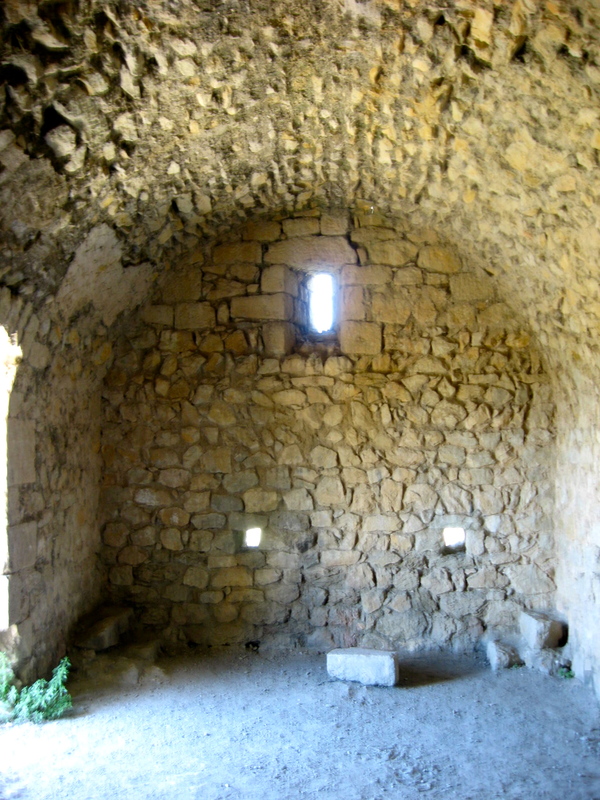 One composed of two rooms (upper and lower) and constructed in the 12th century. The lower floor was designated for the guards and light came through the vaulted narrow windows. The upper floor served as home to the castle keeper. 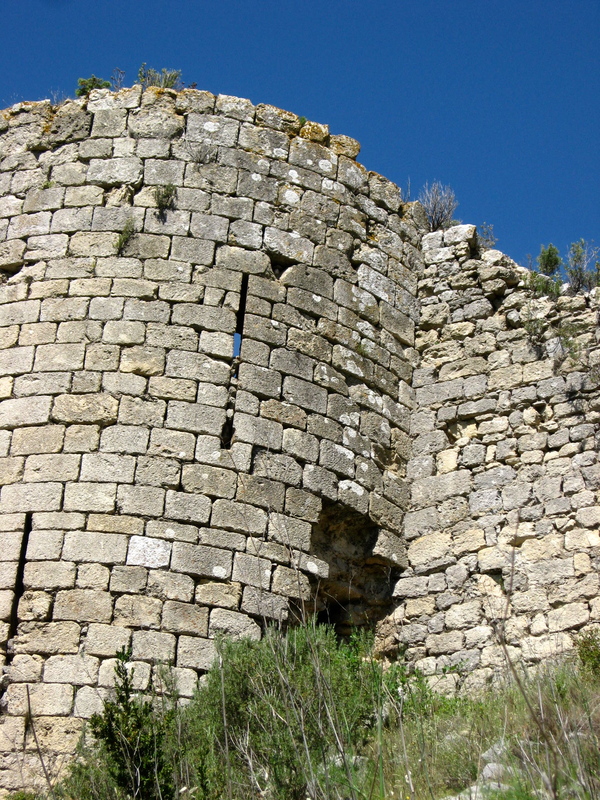 The outer hexagonal wall added in the 14th century and is flanked by six semi-circular towers to impede invading armies. Outside its curtained walls to the east stands the Romanesque chapel of St. Anne. A traditional Romanesque chapel dedicated to St Anne stands on the outside of the curtain-wall, on the eastern side. 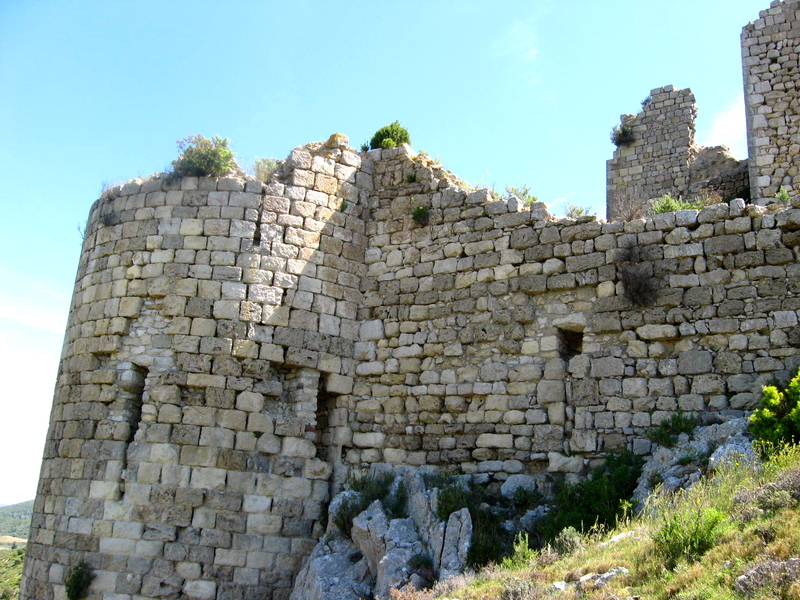 The castle and the surrounding area obtained status as a Historical Monument in 1949. Information is available in several languages at the bureau located at the foot of the trail. You can purchase books and postcards or grab a bottle of water. The castle is currently undergoing repairs and excavation to the subterranean levels which have long been inaccessible.